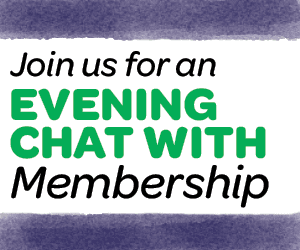 Join Recruitment & Retention Staff for our monthly "Evening Chat". This short presentation is a great opportunity for new and current volunteers to check in live with a staff member for some helpful tips and Q&A. This month's topic for our Evening Chat with Membership will be: "Who needs to register or have a background check?" We invite all adults to attend our webinar! Register today to reserve your space! You will need an Internet connection, and computer speakers or a phone. If this is your first session, GoToWebinar (aka GoToMeetings) will install its software prior to you joining. Please sign into the session at least 5 minutes prior to the meeting start time. If your software does not fully load, please close the screen and re-enter the meeting. Have any questions? Please contact Lori Wolfhope at lwolfhope@gscsnj.org.